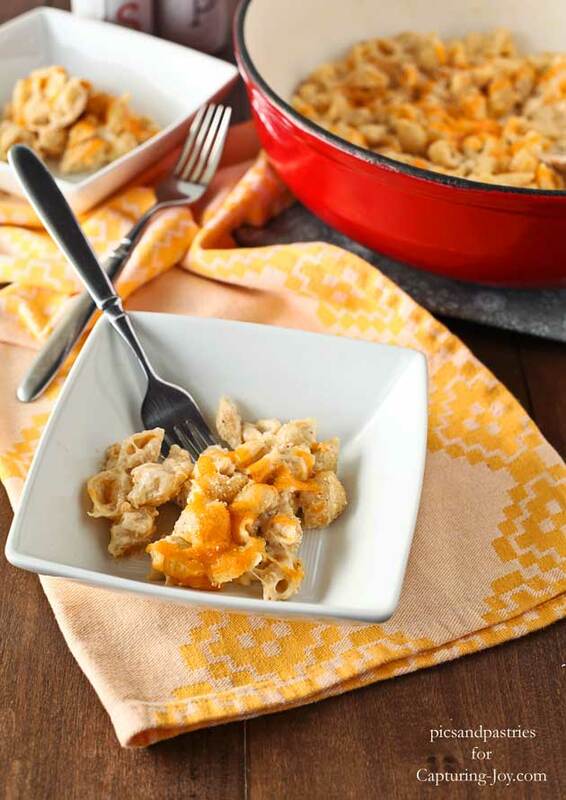 One Pan Macaroni and Cheese- Pasta, cheese, cream and spices is all you need to enjoy this classic dish only using one pan. Hello, again! 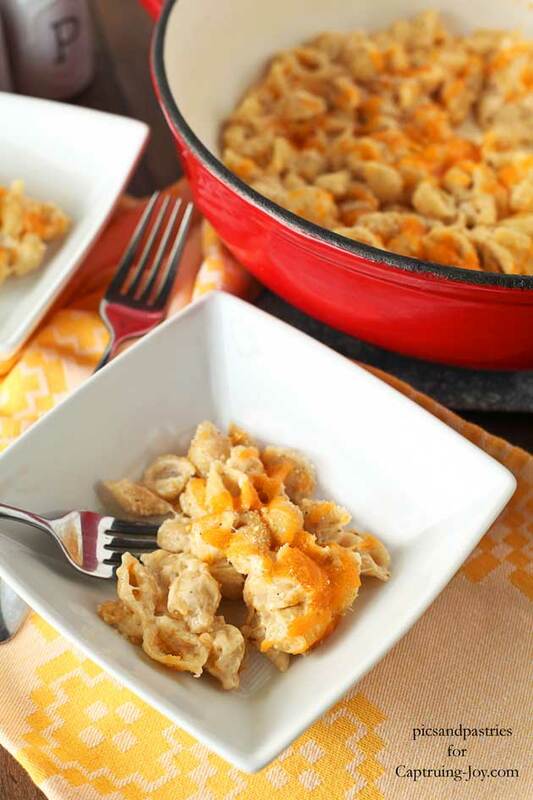 I’m Tiffany from picsandpastries and I am back today to share a recipe for one pan macaroni and cheese. I can’t believe this is my sixth recipe I have shared here on Kristen’s blog. I hope you have enjoyed what I have shared thus far. I also hope you enjoy pasta and cheese because that’s what we’re talking about today. If you don’t enjoy pasta and cheese then we can’t be friends. Kidding! When I saw this recipe I couldn’t get macaroni and cheese off my brain. Seriously, I wanted it for breakfast. Macaroni and cheese for breakfast didn’t pan out, but I did go buy the cheese and we had it for dinner. 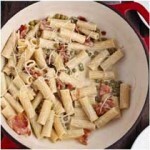 I already had the dry pasta shells so that’s what I used but any small pasta will do the job. 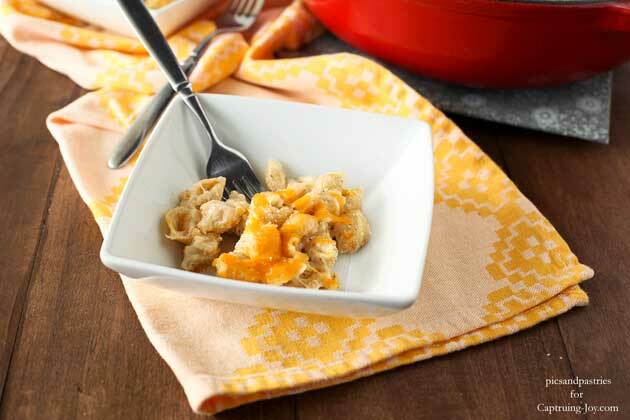 Macaroni and cheese has always been one of my favorite side items and since I don’t fix it very often I want a really good recipe for when I do fix it. This is not your “blue box” macaroni and cheese, folks. However, it’s just as easy and tastes soo good. I do have one recommendation though and it does make it a bit labor intensive. If you’re making homemade macaroni and cheese then buy blocks of cheese and grate them rather than buying the bags of shredded cheese. It tastes better and the cheese melts better. I promise! In a large pot add pasta, milk, cream, pepper, dry mustard and kosher salt. Cook on medium heat and bring to a simmer and then turn to heat to low. Grate cheese while pasta is cooking. 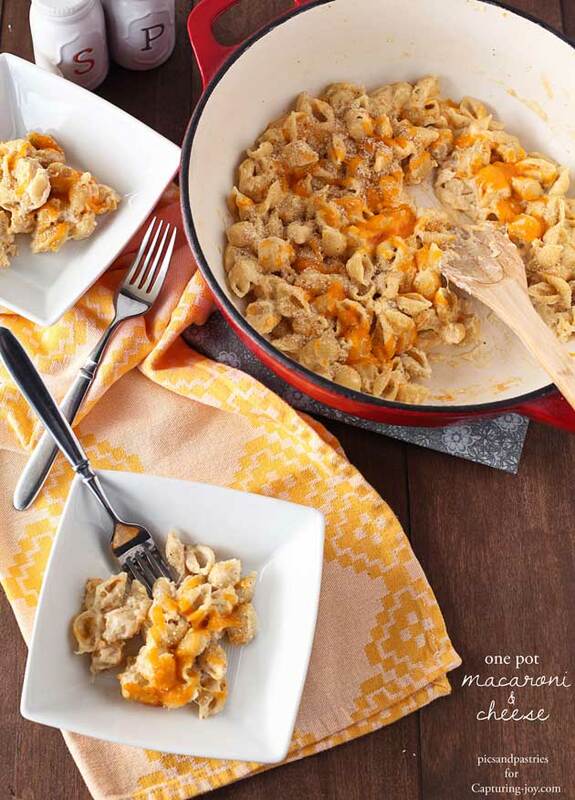 Measure 1 1/2 cups of grated cheese into a bowl. Once most of the liquid is absorbed bite into a cooled piece of pasta and check for tenderness. If it needs to cook longer add a bit more milk, unless there's plenty of liquid remaining. About 20 minutes is what is needed to cook the pasta. More or less will depend on what type of pan you use. Once pasta is tender stir in the grated cheese. Sprinkle with breadcrumbs and additional cheese, if desired. Here’s a few more recipes that you may enjoy! Let’s connect! I’m on Facebook, Pinterest, Twitter and Instagram.